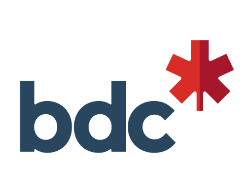 A financial institution owned by the Government of Canada, BDC supports more than 42,000 small and medium-sized enterprises across the country, complementing services available from private-sector financial institutions. BDC offers business loans and advisory services to help Canadian businesses grow, both at home and abroad. Through their subsidiary-BDC Capital, they also offer a full spectrum of specialized financing, including venture capital, equity as well as growth and business transition capital.